Utilising the rock posters of Skull Printworks and graphics of Red Eye and Black Eye Records, this book documents the unusual career path of designer and reluctantrecord executive, John Foy. It's a personal journey that traverses his experiences in the original 70's Punk era, legendary record stores, trading 60's psychedelic posters, as well as more recent exploits. 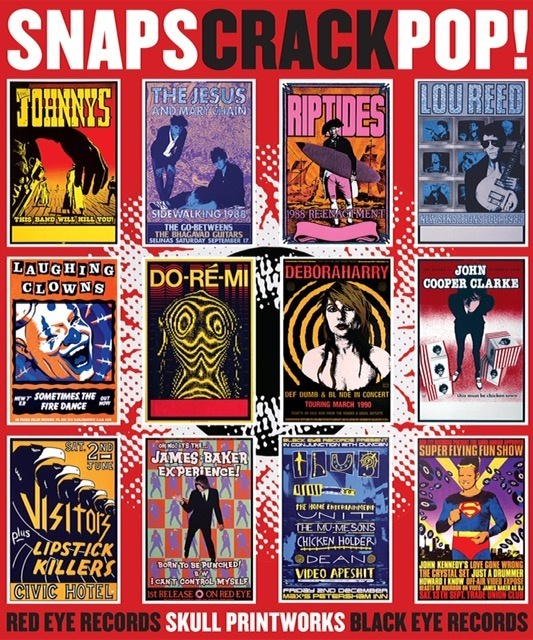 Rich on colour throughout, the visuals of 'Snaps, Crack and Pop!' have been brilliantly realised by former Red Eye art director Jim Paton. It's a book like no other.